Reiki articles start here below. The tab "REIKI classes" and the "REIKI sessions" tab takes you to what we are offering as well as Reiki practitioner exchanges, our regular healing sessions, special discounts and more information such as REIKI gift certificates and what Reiki certification actually REALLY means for you. Level One and Level Two class details may be helpful. 10. HERE'S A GLOSSARY. Don't Let All Those Japanese Words Put You Off! 11. CERTIFICATION - what does that REALLY mean? 1. WHAT IS REIKI HEALING? As quantum energy concepts have become more mainstream, it is easier for us to accept that everything in the universe is energy and vibration - and that we are energy and vibration, too (including our thoughts, emotions). Our bodies consist of energy - different frequencies for different organs and tissues. The lower the frequency of energy, the more solid it appears. For example, our bones, which are vibrating at a lower frequency than our red blood cells are perceived to be more solid. Our emotions and thoughts are also energy - love has a much higher frequency than fear, for example. When we see red blood cells under a strong microscope we can see cells that are healthy and those where their electrical potential, zeta potential, is hampered and are in disarray and leave the cells to be poorly functioning. Disharmony (be it inflammation, ulceration, cancer, fever) in any of our bodily systems indicates low vibrations, too low energy and disturbances. Physical and emotional stress, heavy medications (such as chemotherapy, beta blockers, anti-depressants, coumadin, etc) and the results of accidents and damage effect our body's innate ability to heal ~ the ability to return to homeostasis - in organs and tissues and at every cell. Reiki disintegrates energy blockages at all levels and brings balancing to moving energy. Reiki is an energy which is drawn into the practitioner's body through certain subtle methods and passed on through the practitioner's hands (mainly) to wherever it is needed / guided. There are several methods for that.They are easily learned. Mikao Usui, Sensei, the founder and ultimate Teacher of Reiki, was born in 1865, near Kyoto, Japan. He was a very spiritual man - a man who took his daily religious and meditation exercises very seriously. In 1921 his deep devotion, vast personal searching, life experiences and a particular profound Satori during a sacred retreat on Mount Kurama, culminated into new insights and an even more focussed way of energy transference that we now call Reiki. Master Usui had numerous students of varing levels of proficiency and dedication who learned meditation in groups throughoout Japan but mainly in the Tokyo area. Reiki is a Japanese word, made up of two Japanese kanji – Rei and Ki - meaning, roughly translated, universal and energy. The word Reiki is often translated as “Universal Life Force Energy” or “Spiritual Ray of Life”. During the early twentieth century in Japan, during Master Usui's time, the ancient art of hands-on-healing was enjoying a Renaissance. Healing, so much a part of shamanistic practice in all parts of the world for thousands of years, was also known in Japan. There were many different types of healing forms achieved through meditation and energy transference and gradually "touch" was also being practised by various teachers affiliated with the accepted spiritual traditions at that time. As Master Usui's insights, classes and healing work spread, other teachers of other healing modalities shared their knowledge with each other and with him. We now know that Master Usui's Reiki was not a rigid or static method but evolved, gradually, over those last five years of his life. Master Usui died in 1926. Reiki is often seen as a healing "art". But what actually happens scientifically? In the May 2002 issue of "EXPLORE! For The Professional", an article by Timothy Ley on Peak Performance describes entrainment. Two people, in close quarters, had their brain waves measured and described. One person showed a new heightened ability to achieve at golf. It was passed on (passively) by being in the close and personal presence of the other person ~ a golf pro with a heightened awareness and focus for golf (...and high scores). In another situation a happy and energetic child's brain waves were measured before and after spending several days of heartfelt and close communication with a depressed adult. The child's brain wave had become chaotic and similar to that of the unhappy adult ~ energy and information transfer without even touching! Much like the energy that flows with healing except for the absense of intention, focus and knowing. We can conclude that one's energy level, brain pattern and state of being are oh so powerful and contagious ~ neuron transfer ~ entrainment! We have our skin, the epidermis, protecting us and the next layer below, the dermis, which in turn covers a variety of tissues, including the cell matrix and extra cellular fluid. In this interior barrier there are minute areas varying from 3 micromillimetres to 7 millimeters which contain collagen fibres and where there is reduced resistence and lower galvanic pressure. These little sensitive patches we know as acupressure and acupuncture points. 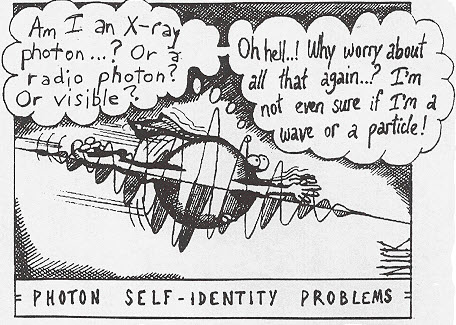 We have hundreds of these brilliant, controlled apertures within our body that can "grab or accept" and transfer chi or energy and pass this along deeper into our body as if with micro-cables. If, as a Reiki practitioner or teacher, you feel a strong commitment to your students to share in the wonderfulness of the practice of Reiki, then hosting a Share or EXCHANGE might be just the project for you! This can be a new and rewarding way to practice Reiki, keep friends and practitioners enthused and create an opportunity to socialise with like-minded people ~ not always possible in our hurried world. Reiki shares would surely have been talked about in your Reiki classes and here are a few more thoughts. Some students of Reiki feel that they may have become "rusty" and this gets them back into the swing of things. Questions about what may be happening during a session and chatting about the finer points that have been forgotten, by some, will automatically flow from this afterwards. If you are a recent arrival to energy work, then organising a Reiki Share is a good way to stay enthusiastic after your recent initiation. You may wish to team up with a veteran. Ask a more experienced person to be there, too, as there may be some sticky wickets ~ people bringing advertising, people talking incessently, willy-nilly attunements being handed out, etc. Focussed, quiet and powerful Reiki Healing should be the focus. The requirement for you is merely to provide space, time, clear intention and persistence. And this is where the experienced guide helps the host, the captain as it were, who keeps the group on-track, positive and focused. Planning ahead is good ~ you need to know the anticipated number of massage tables you will need and the physical space that is required. You don't want more than 5 people to a massage table (one lying down and receiving Reiki and four people standing or sitting around the massage table doing the Reiki). Each participant enjoys about 20 minutes and then there is still time for some socialising, Q & A, a meditation - a break and a discussion (sharing of experiences and Reiki stories) and those in a hurry can leave before this and after the sharing so that every receives equally. Have you ever wondered how people can claim to send distant healing energy? And really wondered how this can be done when all the healer has is a first name and initial and maybe a city somewhere close by or far away? Can these claims be real? Why not just send healing with just initials or no name at all? How much information does one need to be effective, if at all, to send distance healing? Is it personal and different for every healer or is there really a science to it with a few serious consistent basics to be adhered to, so as to not create doubt or an appearance of “hit or miss”? Reiki learning is passed on from teacher to teacher. 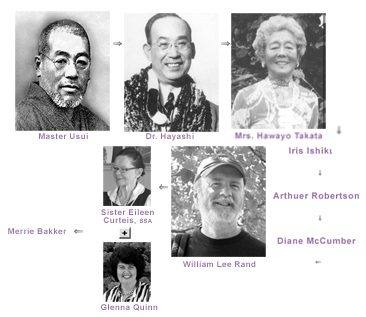 Lineage shows which Reiki Masters learned from whom in a direct line – leading back to the original founder Master Usui. Here is my lineage (Vancouver Reiki Teacher Merrie Bakker of Pacific Holistic Reiki Healing Centre). 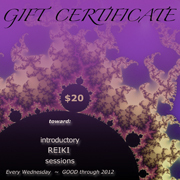 Q I’m often asked how much time a Reiki class should take - why are some classes 4 hours and others 16 hours. A The simplest explanation I have is that there is a lot to cover. The history is important. There are many important events and people that have shaped the Reiki we practice in the West today. There is some misinformation, too, which needs to be addressed. More knowledge means more clarity and respect for the work. Back in the 1920’s when Reiki got it’s start in Japan, the students were completely conversant with meridians and chakras and here we are not. So this little parcel of knowledge needs to be incorporated into a class. Over time we have learned that there are some quick and unique methods of learning how to “run energy” that are completely aligned with the ability to pass on energy, as Master Usui encouraged his students to do. This needs a certain amount of time, in a thorough and modern Reiki class to be taught correctly. Other aspects, such as centring, focussing, learning how to scan, entrainment and protecting oneself from taking on the client’s issues and / or challenges can be learned through trial and error by students but are much better when taught and practised so that there is no “by the seat of the pants” type experiences of poor learning. Q Some people have asked me whether I suggest taking Level One and Two at the same time and if not, then how much time should be spaced in between each level. A Historically, Master Usui and his teachers did not have weekend courses but one came one evening per week to the group sessions of meditation and Reiki. It would not be unusual to be in a certain level group for many years. one progressed over the course of one's dedicated life's practice. So, when I’m asked if I teach the classic Usui system, I have to wonder if that potential student has eight years to spare! In present Western Reiki we know that some type of classes of Level One are all a student really needs - for working with friends and pets and plants and family is a fine set of tools. If working with clients is your goal, then Level Two is important to add, in time. Mrs. Takata, who is the main teacher who brought Reiki to the West, is known to have students return for Level Two after a year but also to offer it to students who were keen, from out of town and for whom she had a really good intuitive feeing that they could do their Level Two after a week of time in-between these two levels and with lots of practice during that time. She showed that there were no hard and fast rules. Each student and teacher uses their inner guidance for the right answer. Some Reiki organisations have rules. This facilitates keeping things on an even keel but is not in the original spirit. One head's up that I learned the hard way. I was so concerned with getting it right and helping others that I neglected to work on myself initially - and that’s also a bit of avoidance that needs thought. Working on oneself often is a very valuable component of learning and improving and gaining confident hands. William Rand's International Center for Reiki Training is one of the earliest websites on Reiki and is another site with a wealth of Reiki (and Karuna Reiki) resources and references including information on research, his own Reiki books and magazine, “Reiki News”. Numerous articles on Reiki, energy and Reiki related topics are available at the archive: https://www.reiki.org/reikinews/reikinews.html. Free newsletter. 2) Taggart King - many good insights, history updates and articles by the international teacher https://www.reiki-evolution.co.uk/sample-page-2-2/. Free newsletter. A rebuttal to the silliest criticism of Reiki we have ever encountered. Here follows a summation and a portion of the approved report by the U.S. Conference of Catholic Bishops' Administrative Committee entitled: “Guidelines for Evaluating Reiki as Alternative Therapy”. in it's entirety it can be found at http://www.usccb.org/about/doctrine/publications/upload/evaluation-guidelines-finaltext-2009-03.pdf - by the U.S. bishops' Committee on Doctrine, March 26, 2009 - (please note that this piece was not concocted in the dark ages!). "For a Catholic to believe in Reiki therapy presents insoluble problems," the committee's guidelines said. "In terms of caring for one's physical health or the physical health of others, to employ a technique that has no scientific support (or even plausibility) is generally not prudent." The bishops said the technique — which involves a Reiki practitioner laying hands on a client - also is encouraged as a "spiritual" kind of healing, but that for Christians "access to divine healing" comes through prayer to God. A Catholic who puts his or her trust in Reiki "would be operating in the realm of superstition," they claim. These new guidelines were quoted as saying: "according to Reiki teaching, illness is caused by some kind of disruption or imbalance in one's 'life energy.' A Reiki practitioner effects healing by placing his or her hands in certain positions on the patient's body in order to facilitate the flow of Reiki, the 'universal life energy,' from the Reiki practitioner to the patient, and is a "technique for stress reduction and relaxation that also promotes healing." But, the bishops' guidelines said, "Reiki lacks scientific credibility" and "has not been accepted by the scientific and medical communities as an effective therapy.... Reputable scientific studies attesting to the efficacy of Reiki are lacking, as is a plausible scientific explanation as to how it could possibly be efficacious." People often want to know if they are taking courses that will lead to certification. And what would happen if they practice reflexology without some sort of 'certification'. And why are some certifications different to others in this country? These are very valid questions. Certification has various meanings. It can be misleading and can mean different things in different places and in different circumstances.. While it may be possible to get away with any old title and certification in some countries, official designations are very strict in Canada and BC. In Canada's health world and health jurisdictions, almost all health modalities are controlled or organized under the jurisdiction of the provinces, except for doctors, surgeons and nurses - which are governed by federal oversight. All other healing modalities - from very mainstream to new and alternative are legislated provincially. Details and by-laws that are specific for each province, including BC. There is an overarching concept that excludes the government from involvement or and that is when a modality can be deemed to "do no harm", then it is not mandated to go through ANY government scrutiny. Buyer Beware is of course always important. One main observable difference between what developed as the Western Reiki way and the original Japanese Reiki Tradition, is seen in the practical way of learning to give a treatment. Reiki is taught in many forms in the West. You may have noticed that some students are taught distinct hand positions to follow for everyone they work on and at all Reiki Exchanges; some students pay heed to the little bell in some Reiki music tapes that is played every three minutes to signify the moment is ready for themselves and everyone else at the table to change hand positions; some Reiki practitioners will never touch their clients and only practice distant healing even if the receiver is easily accessible or in the same room; some Reiki practitioners will write down someone’s first name and ailment on a piece of paper and place that literally on a light box or light table in order to facilitate energy being sent. Some Reiki practitioners actually pull out pendulums and crystals and throw that into the mix! ARE YOU A 'LAPSED' REIKI PRACTITIONER? Come and Participate with other Reiki Practitioners of diverse Reiki backgrounds. Feeling a bit rusty? No worries! That's why we have Reiki Exchanges. Group treatments allows everyone to give and receive Reiki and allows an opportunity to increase your Reiki session experience; to meet Reiki like-minded friends; and to abandon any thoughts of being "rusty". When we gather we share insights with one another, deepen our practice and increase harmony. If you are a practitioner and would like to join our REIKI EXCHANGES - REIKI SHARES, then click over to sessions for Practitioner Reiki Share / Exchanges details. Come and Join Us! 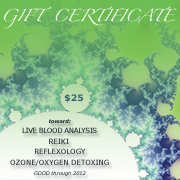 Need a meaningful gift for someone who is open to energy work? Buy a gift certificate for someone you love. Gift certificates can be for the exact amount of the session or class or an amount towards a session or class of your choosing. When disease, heaps of stress, pain or a health crisis strikes, you may feel attacked on many levels and your energy, when you need it most, seems to desert you... Reiki healing can help replenish! When disease, heaps of stress, pain or a health crisis strikes, you may feel attacked on many levels and your energy, when you need it most, seems to desert you... Reiki Energy healing can help replenish! *Reduce the side effects from heavy hitting therapies and medications. *Make your healing a new beginning ~ diminish fear, worry, guilt and information overload. *Make your healing journey as easy as possible ~ give your inner physician a hand. Revitalize! *Discuss, if you wish, how the knowledge of German New Medicine can help you gain perspective on what conflicts and shocks may underlying your health challenges and conflicts. Receiving Reiki healing allows you to set aside troublesome thoughts, worries, preconceptions, judgements and stress for a little while. 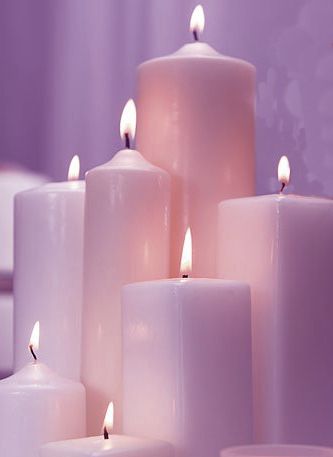 Please look through the pages here and join me in one or more of the Reiki seminars offered. Allow yourself to believe in and enjoy the deep, delicious benefits of the power of Reiki… and I look forward to seeing you. Go to the sessions page to see what may be just right for you. Reiki energy, when properly passed on to someone, can be useful when someone is engaged in standard Western medical protocols and is often integrated with other alternative treatments. If, like some of my clients, you have chosen orthodox medical treatments, then Reiki will obviously do no healing, but Reiki can be extremely useful, nonetheless. One of my clients received several different kinds of chemo at once and a number of radiation treatments, per day - an intensively heavy dose of toxicity. This was a heavy burden for his body to bear! Reiki reduced his nausea; reduced intense inflammation and the extent of internal scarring; Reiki helped revive his bodily functions which often went south on the most intensive treatment days; Reiki fortified his inner strength and inner resolve to continue; Reiki diminished some of the fear of the treatments and together we renewed his healing visualisations to take to each future orthodox medical session - like armament and fortifcation. Reiki gave him back a good night's sleep, too, inspite of the intense debilitation of the chemo and radiation. Reiki, properly passed on to someone, makes detoxification and rebuilding after strenuous therapy much easier. Even though we have an inner physician, after a heavy course of chemical treatments, our bodies will welcome and thrive from the benefits of extra energy that has been so mercilessly zapped. When you have been on a 'cocktail' of meds, for example, for depression, then energetic healing with Reiki can decrease the negative side effects that specific organs are effected. Reiki sessions can lift your vibration as a whole and specific organs and functions in particular. Reiki energy feels nurturing. Hurts, fears and withheld emotions can be released. When the issues, shocks and conflicts are known, then Reiki healing can take place more quickly and be specific. 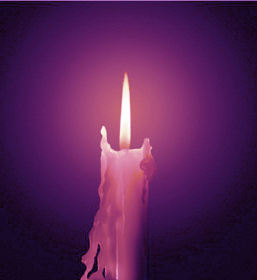 Reiki relieves pain and accelerates healing of injuries - cuts, bruises, broken bones and burns. And constipation, insomnia, depression and fatigue, and... healing cannot be bought. It is a process that can be entered into with awareness and intention. Sometimes the effect is instant; some times it takes a couple of days. Reiki energy, when properly passed on to someone, can be useful when someone is engaged in standard Western medical protocols and is often integrated with other alternative treatments. If, like some of my clients, you have chosen orthodox medical treatments, then Reiki will obviously do no healing, but Reiki can be extremely useful, nonetheless. One of my clients received several different kinds of chemo at once and a number of radiation treatments, each day - an intensively heavy dosage of toxicity. This was a heavy burden for his body to bear! Please experience this wonderful natural, hands-on healing method one day. Pacific Holistic Reiki Centre is in Kerrisdale, Vancouver, BC.